The Ogboni society, also known as Oshugbo in the Egba and Ijebu areas of southwestern Nigeria, is an association of accomplished elders in parts of Nigeria, Benin, and Togo. Members perform a range of religious and political practices, including meting justice for crimes and disputes, installing and deposing kings, and overseeing burial rites. Ogboni members recognize the underground as a spiritual force that unites humankind and witnesses all wrongdoings. Ile, the deity or omniscient spiritual force of the underground, is central to Ogboni beliefs, art, and practices. The Earth Matters exhibition includes both insignia of office and figures from the meeting house of a Yoruba Ogboni (or Oshugbo) society. These edan (staffs or insignia of office) and onile (society figures) demonstrate the importance of concepts of the earth to Ogboni. In the ease with which their motifs can be identified, the figurative pair of copper alloy edan suggest the knowable world: male/female, old/young… and yet beneath each figure is a non-descript iron shaft. Made from an ore of the earth, these shafts allude to things we cannot know: the unknowable world of the divine and the underground. Likewise, the terracotta onile figures are made of a material of the earth that alludes to the power and knowledge beyond mere mortal comprehension. Although the new year recently passed, it was not so long ago that assessments of 2013 will stop rolling in anytime soon. This is especially true where science is concerned since the results take time to assemble and analyze. 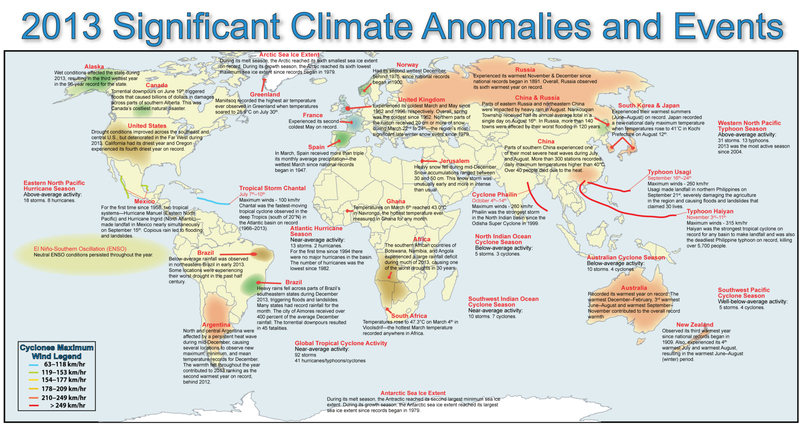 Consequently, one of the lists just recently released is a government list of extreme weather events for 2013, which came with a well illustrated map. Chances are, that even without this summative list, that most readers heard of an extreme weather event in the news or experienced it themselves because these events occurred around the world: Drought in the American West, the typhoon in the Philippines, extreme heat in Australia, extreme cold in the U.K., heavy rains in China and Russia, and the shrinking of arctic glaciers. In another but by no means unrelated article, a separate report predicts that extreme El Nino events are expected to double from once every 20 years to once every 10 years. Now, of course weather predictions are never fully accurate and are most of the time concerned with expectations and tendencies rather than predictions. But the research in this case seems extensive, with 20 separate climate models utilized in the findings and producing, we must assume, fairly consistent results. What is the main culprit of these weather anomalies? Well, both much of the scientific community and the political left are inclined to say that global warming is responsible for the extreme fluctuations in weather that we have ben observing. Yet, because weather is not an exact science, proving these links hasn’t been easy, and that is one reason what we are left with so many skeptics. In the case of the El Nino effects, however, good evidence is arising for the connection between it and global warming. As the article explains in common language, the El Nino effects are produced when “a pool of warm water that normally resides in the western Pacific expands to the eastern equatorial Pacific, bringing with it increased atmospheric convection and rainfall.” The reason that these effects do not frequently occur is because barriers of cold water generally keeps the expansion in check. Logically, then, it follows that as water temperatures rise and these barriers of cold water disappear, that the El Nino effects are likely to increase in frequency – which is about as simply as I have ever heard it explained. As 2014 has now gotten well underway, I expect that we will continue to see anomalies in the weather such as these. And at the very least, I hope that more clear and convincing evidence such as this will turn the skeptics in the world around and harness their “renewable energy” for the effective action needed to combat climate change. This week’s guest post comes from Marco Cianfanelli, a South African artist who, in addition to participating in the Earth Matters exhibition in Washington DC, is internationally recognized. 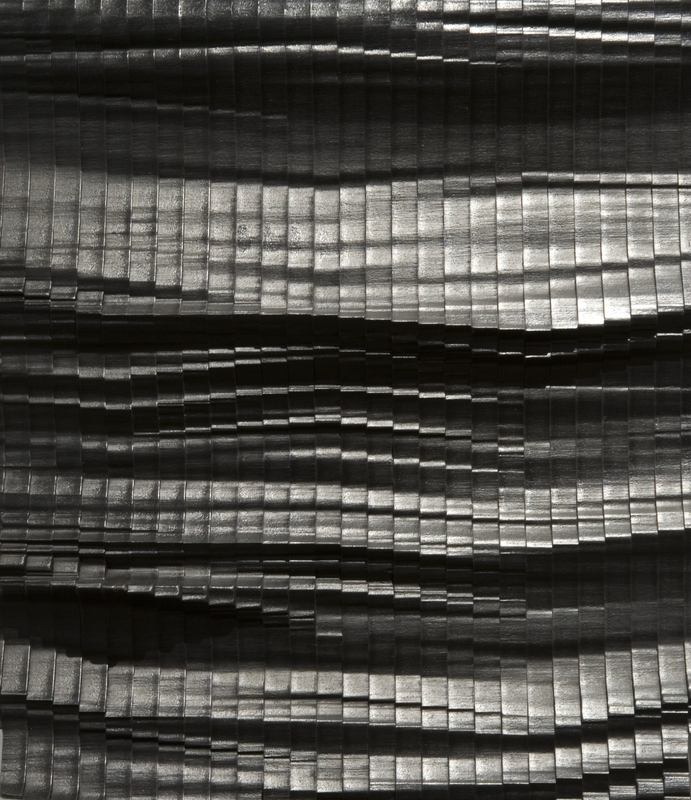 Cianfanelli is an artist who examines the universal within the personal and, as the great T.S. Eliot once said of great writers, writes both himself and his time. I am always slightly puzzled when asked to give my opinion on a matter, as one of the significant reasons I became an artist is the very privilege it affords me in blurring and manipulating elements of intellect, science, knowledge, emotion & gesture in a way that is based on, but not confined to, logic or fact but in a way that makes perfect sense to me. Is it feasible to personify the whole of humanity, as one single being, a being with particular traits and a complex yet distinct personality? Could these traits and this personality be better understood by observing the condition of the earth, how humanity exists on it, in it, with it? In this sense, our perception of the earth’s state(s) would not be a judgement of humanity but rather a reflection of it. Be it good or bad, it is what it is. If you believe in evolution, you have to consider that we, alongside everything around us, are evolving with every passing second. Evolution is not an event it is a process. With regard to our place on earth, how are we evolving or how will we evolve in the future? Is it possible that we can be active, rather than passive in the process of our evolution and if so, will the nature in which we cohabit the earth be something we value? Regarding evolution, Vredefort to Sterkfontein, is a work that I produced as a response to the immense significance and connectedness of the two regions of Vredefort, the site of the largest verified asteroid impact crater, and Sterkfontein, a site of significant Hominid findings, which lies within the “Cradle of Humankind”. 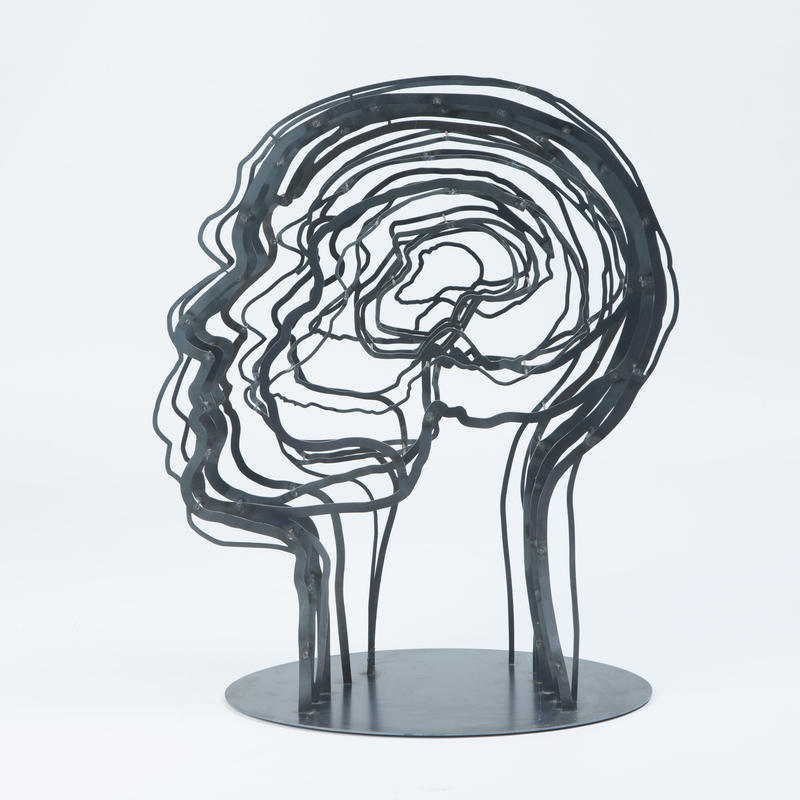 The work is both a scientific analysis and a family portrait of sorts or a musing on the subject of genetics, created by morphing and interpolating three silhouette portraits of my mother, myself and my father, to create the seven profiles in the work. Geographic coordinates of the region between Vredefort and Sterkfontein, recorded at 20-meter intervals, were gathered to create a digital three-dimensional topographical portion of this region. This data was used to create the third dimension of the seven forms and was amplified to varying degrees on each of the seven portraits, enhancing the effect of a wave or tide, representing the immense impact that rippled the earth’s surface well beyond the region of Sterkfontein. Could an event so dramatic and in some ways, so violent that it made the earth’s surface twist and distort like water, be intrinsic to the evolution and formation of humanity, could our dawn have been catalyzed by such a cataclysmic event? It became apparent to me that the intended “family portrait” was actually something broader and spoke to me of humanity’s connectedness. 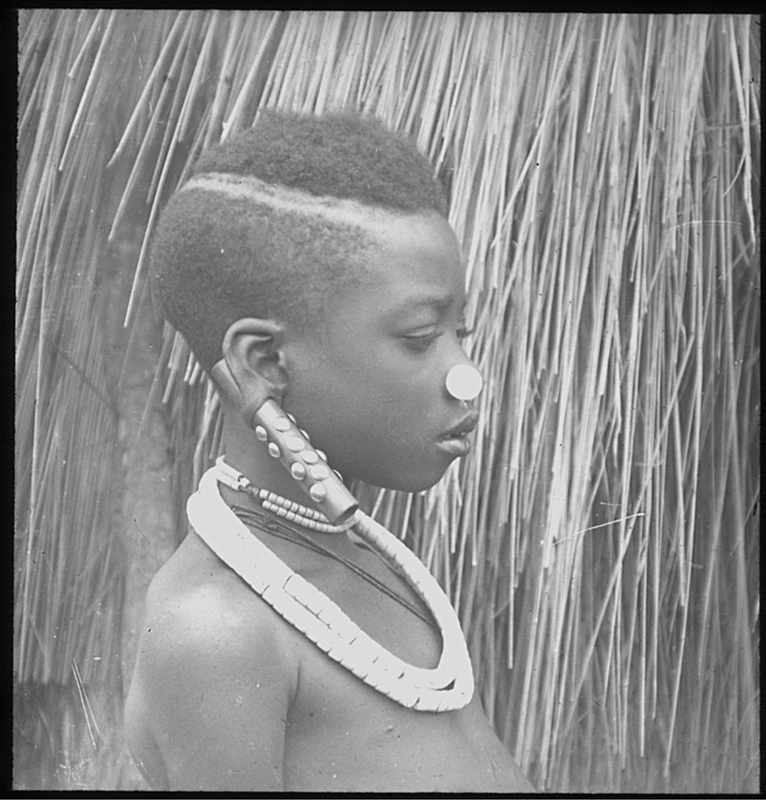 This photograph of a young, unnamed Luba woman was taken in approximately 1910 by Judge Emile E. O. Gorlia from Belgium in what was then the Belgian Congo and is now the Democratic Republic of Congo. Gorlia was acting as an alternate to the public officer at the time, in Lusambo, a community in Congo’s Kasai province. He was a keen amateur photographer and photographed in detail the experience of being a government official in the Belgian Congo. This particular photograph was taken during his first tour in Africa. It shows a young Luba woman whose name we are unlikely ever to know, wearing bold earrings, a nose ring, and impressive necklaces. There are few details that provide more context to this woman’s story. All we know is where the photograph was taken—which is not necessarily the same as where the anonymous young woman was from, as populations in Eastern Kasai at that time were being uprooted and displaced due to wars with Arab populations in the north. It is interesting to consider this photograph alongside the work of Congolese artist Sammy Baloji, who has seductively and evocatively drawn attention to colonial-era images in which Africans are too often reduced to stereotypes and landscapes appear as wild or unpopulated. In his piece in Earth Matters, Portrait # 2: Femme Urua sur fond d’aquarelle de Dardenne [Luba woman against watercolor by Dardenne], Baloji overlays an 1898 photograph of a Luba woman over a contemporary watercolor of the landscape representing the two conflicting representations of reality. 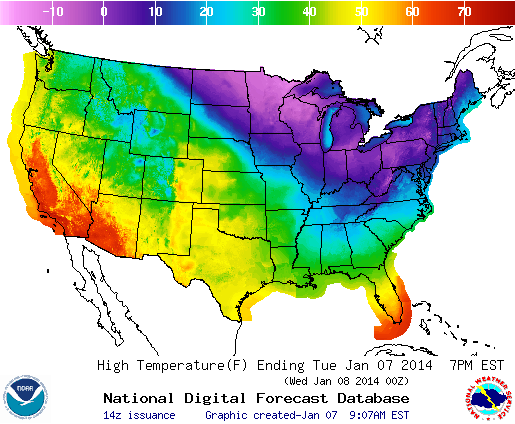 Earth Matters Around the Web : The Polar Vortex? 1) The cold weather disproves that global “warming” is a real phenomenon. 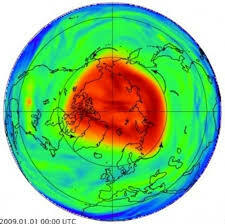 2) The “polar vortex” is a hoax perpetrated by leftist media to promote the climate change agenda. Obviously, as a blogger for Earth Matters, I am not of the opinion that the polar vortex was a leftist hoax or that it disproves climate change. But let me back that up with a brief critique. First, the term “global warming” has been passed over to the term “climate change” because the weather phenomena that global warming are linked to are incredibly complex. Second, if we choose to use “global warming”, as many of its critics do, we have to consider that the term “global” does not refer exclusively to the United States. As pointed out in a recent article on Slate, temperature around the world reached record highs in 2013. As we enter 2014, it is unlikely that climate change phenomenon or the debate around it will cease. But as you begin the new year, please ask yourself one question when you consider all the things we all do that contribute to so-called “global warming”… is it a risk you are willing to take? Today’s guest post, the first of 2014, comes from Dr. Beth Burrous who is one of the Earth Matters partners at the US Botanic Garden in Washington DC. The US Botanic Garden currently has African plants that you can see up close, plants that have become especially important to our daily lives and show how much earth really does matter! We frequently reap the benefits of African food and medicinal plants, a topic I explore when conducting tours at the U.S. Botanic Garden. A few of the many beneficial African plants are highlighted here. Come to the U.S. Botanic Garden to take a look. 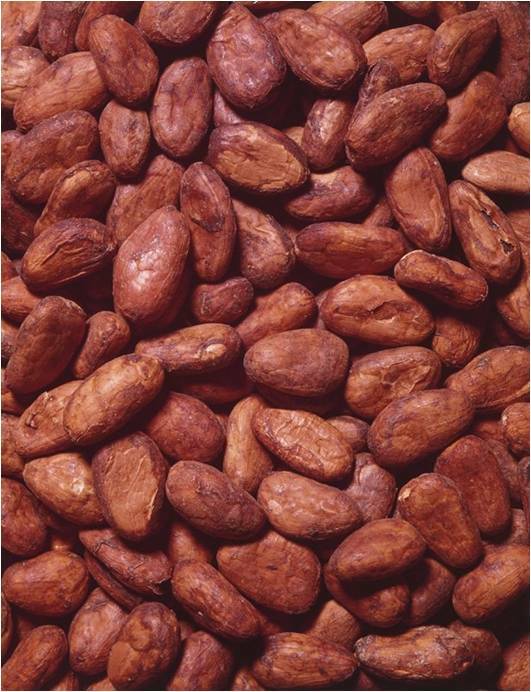 Chocolate – Equatorial Africa supplies about 75% of the world’s cocoa beans that are used to make chocolate. 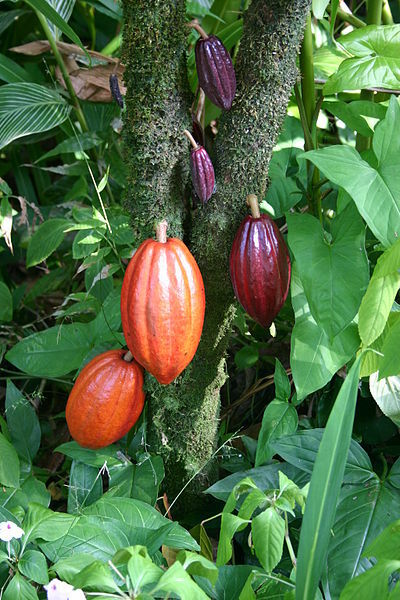 While the chocolate plant (Theobroma cacao) is native to South America, it grows well in Cote d’Ivoire, Ghana, Cameroon and Nigeria. Beans are harvested from cocoa pods . After fermentation, drying, roasting and grinding, the beans are made into edible chocolate products. Nearly all cocoa is grown on small (5-10 acre) family farms. Preliminary studies suggest that eating dark chocolate (the darker the better) may promote cardiovascular health. Vanilla – Vanilla “beans” are the fermented and dried fruit of the vanilla bean orchid (Vanilla planifolia). 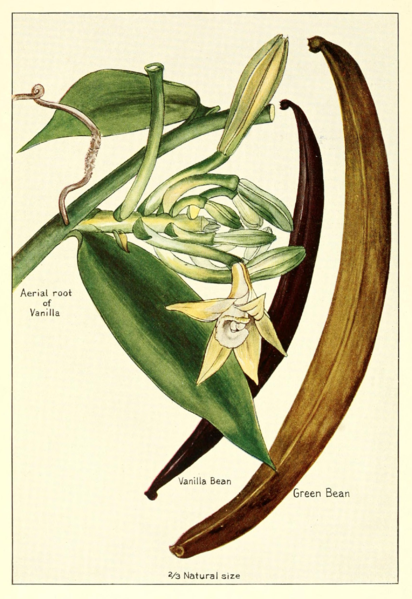 The beans are used for cooking and to make “vanilla extract.” While the vanilla orchid is native to Central America, about 65% of the world’s vanilla beans are grown on the island of Madagascar. 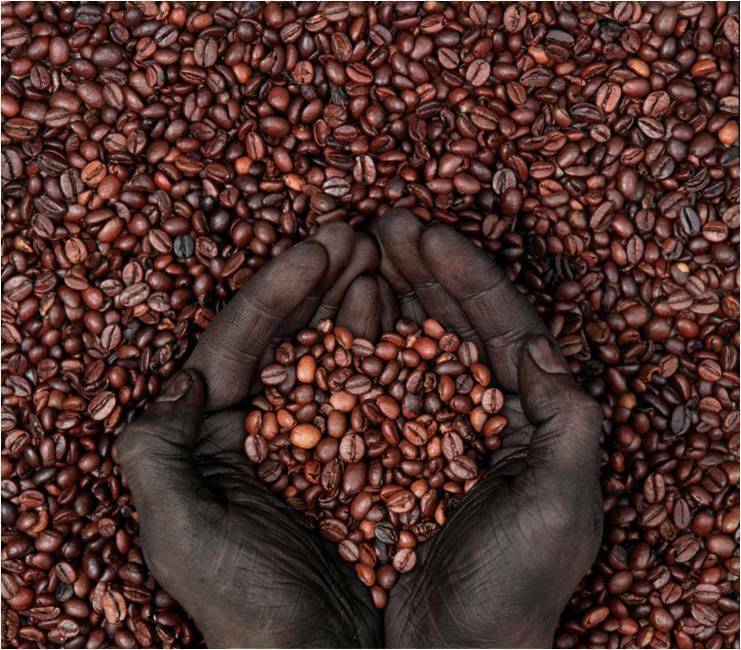 Coffee – Historians believe that the coffee plant (Coffea arabica, robusta) is native to Ethiopia. 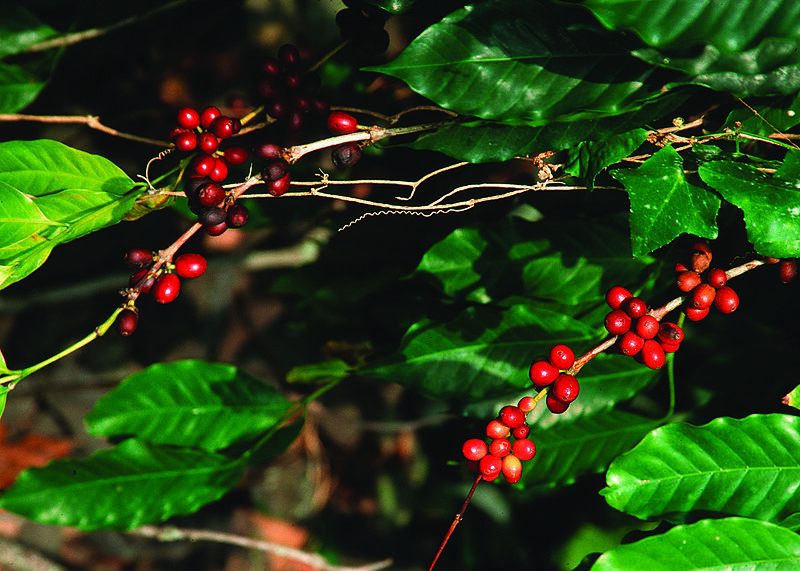 Nowadays, ripe coffee plant berries (“cherries”) are aged, dried and roasted to make coffee “beans” for brewing coffee. But long before the invention of a brewed coffee beverage, people used the caffeine-containing coffee “cherries” as medicine. Islamic medical texts from the year 1000 C.E. prescribe coffee cherries as a stimulant and digestive aid. Preliminary studies suggest that consuming moderate amounts of coffee (about 3-5 cups per day) may prevent certain types of cancer, dementia and Type 2 diabetes and prolong longevity. 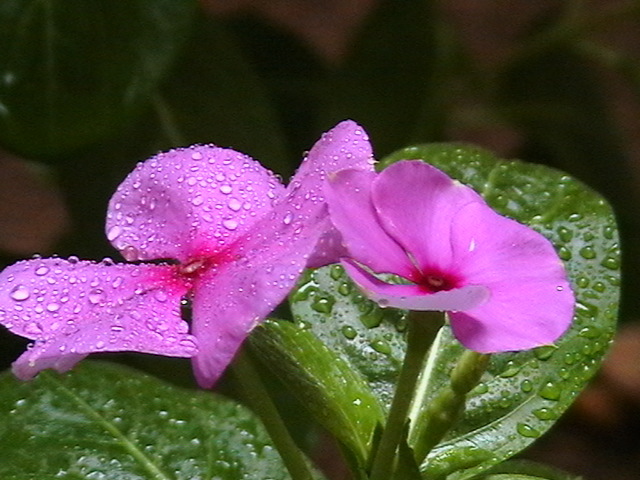 Periwinkle (“Vinca”) – Catharanthus roseus is a popular landscape plant native to Madagascar. It is also the source of cancer-fighting medicines. The drug vinblastine is used to treat cancers including Hodgkin’s disease, various lymphomas, breast cancer and testicular cancer. The drug vincristine is used to treat cancers including Hodgkin’s disease, leukemia, neuroblastoma and a rare childhood muscular tumor. Manufacturers use about five tons of periwinkle plant material to make one ounce of drug. 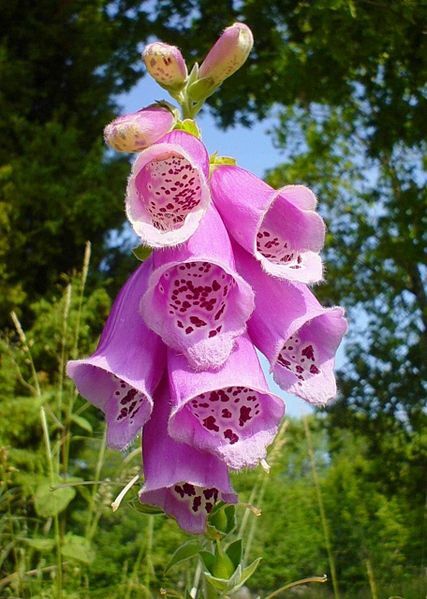 Foxglove – This common garden plant (Digitalis purpurea ) is native to Northwestern Africa. It is the source of the heart medicine digoxin (digitalis), used to treat heart failure and irregular heartbeat. 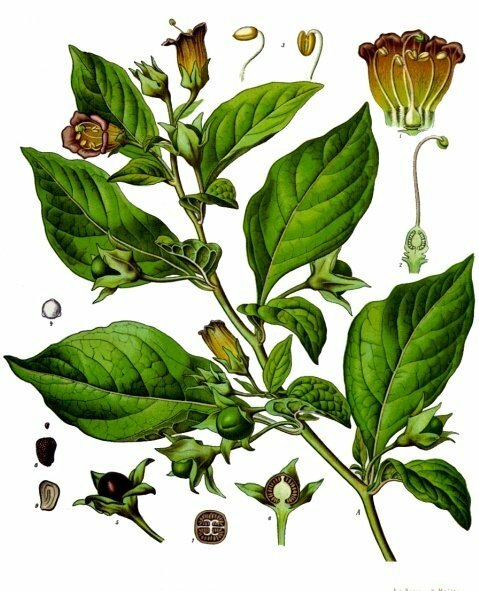 Deadly Nightshade – Atropa belladonna is native to Northern Africa. “Belladonna” is derived from Italian and means beautiful woman because long ago, the plant was used in eye drops to dilate the pupils. While all parts of the plant are highly poisonous, several medicines are extracted from this plant and close relatives. Atropine is used to resuscitate patients with extremely low heart rate, and U.S. troops carry atropine-loaded syringes to treat nerve gas poisoning. Scopolamine is used in trans-dermal patches to treat motion sickness, and may be useful in treating severe depression. The Earth Matter’s exhibition consists of five sections that take a symbolic journey through the world as interpreted by African artists. 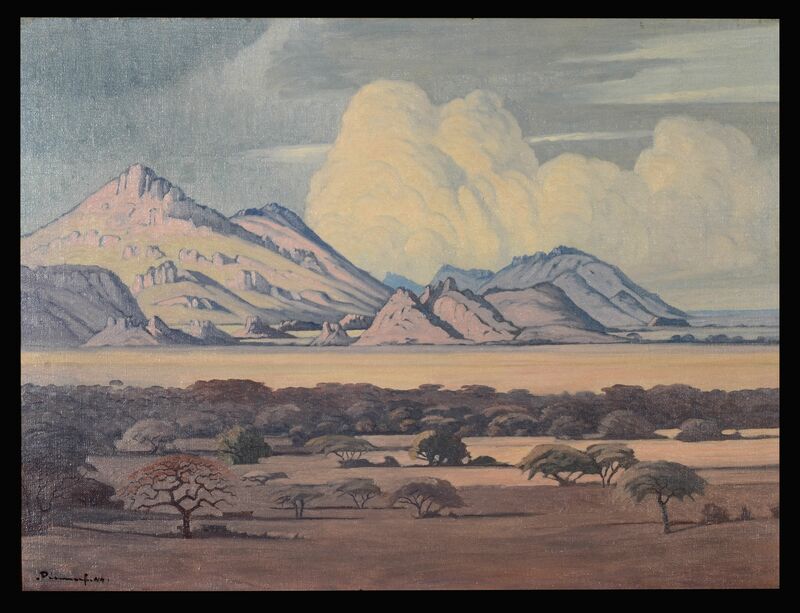 The fourth section in the show is titled “Strategies of the Surface”, which includes works focusing on the landscape and authored by artists from Jacobus Pierneef to Otobong Nkanga and IngridMwangiRobertHutter. Using these two works as examples, the latter work is an apartheid era landscape painting that, many contend, paints a colonial picture of South Africa, devoid of the indigenous inhabitants that challenged colonial claims to the land. 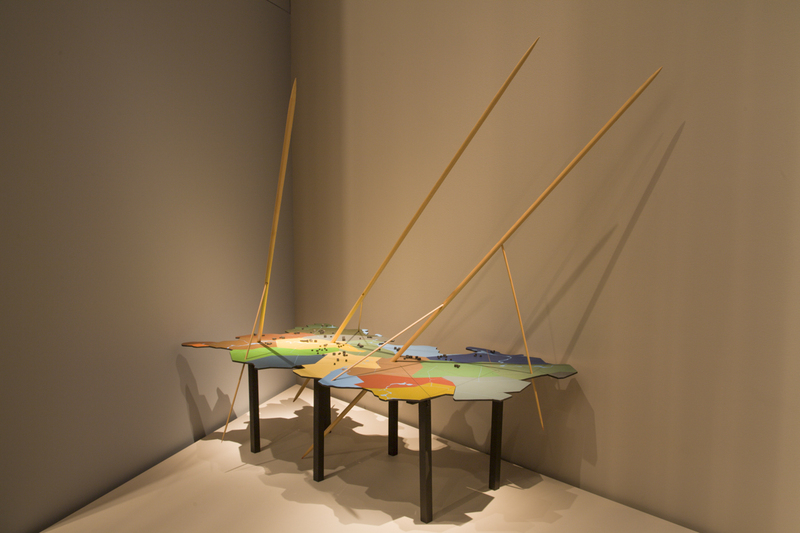 The work by Nkanga describes geography from the detached, inhumane point of view of military strategy, conflict, and claim. 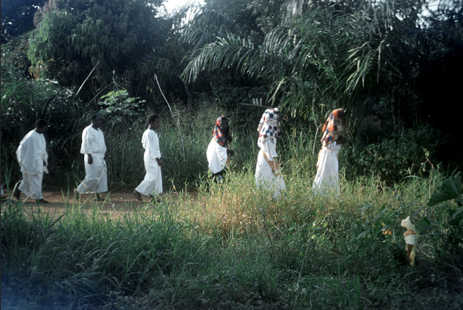 The work by IngridMwangiRobertHutter focuses on land, belonging, and borders. 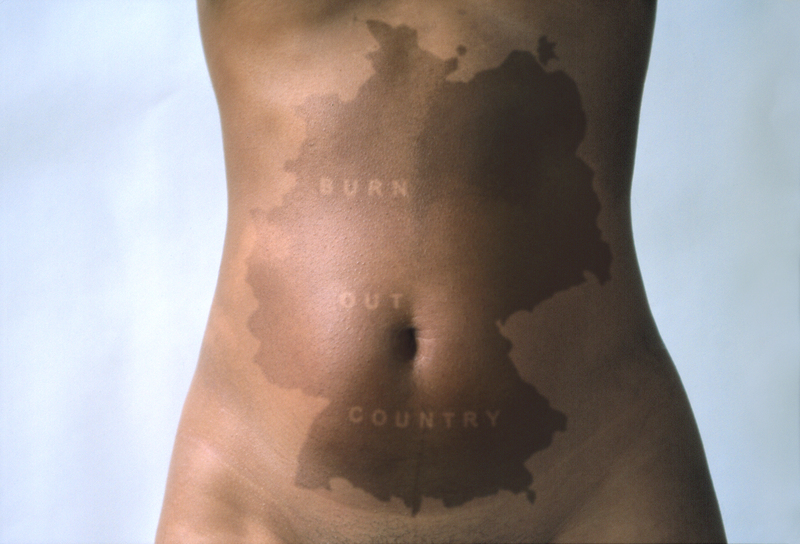 In these many interpretations, the emphasis is on the relationship between the land and people, race, and culture. With the passing of Nelson Mandela, it is a an apt opportunity to remind the world that much of the late freedom fighter’s work was about a similar geography, the landscape of people. This landscape is something that Mandela changed greatly, erasing the imaginary lines that separated and imprisoned people. Today, while disparate communities still exist, gone are the so called “homelands” which divided South Africa according to the edicts of racial segregation. Indeed, Mandela’s impact on South Africa’s geography is one of his greatest legacies. Humans, however, are not the only species affected by geography. In a recent article by National Geographic Editor in Chief Chris Johns, for example, the author tells about his meeting with Mandela and the Peace Park project in Africa. Peace Parks are transnational reserve areas that allow wildlife to move freely across the continent. As Johns notes, the idea of Peace Parks—reserves that transcend political borders, enabling animals and people to move freely across a single ecological unit—resonated with Mandela. This article, which also sheds light on Mandela’s love of nature and his yearning for it during his imprisonment, captures a nuance of Mandela and his legacy that might be overlooked in many of the popular articles that have flooded the internet. The article can be found at http://news.nationalgeographic.com/news/2013/12/131205-mandela-south-africa-apartheid-appreciation/ and more information on the Peace Parks project can be found at http://www.peaceparks.org/.